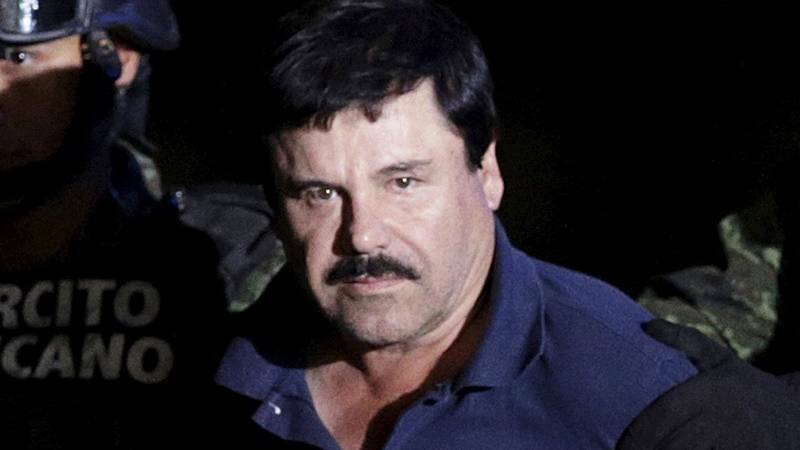 With Mexico beginning the process of extraditing Joaquín “El Chapo” Guzmán to the United States, the Texas-Mexico border is faced with a familiar question and a fresh one: How will the notorious drug kingpin's recapture impact the region's drug trade? Guzmán was recaptured Friday morning by Mexican marines in Los Mochis, located in Guzmán’s home state of Sinaloa, after escaping from a Mexican maximum-security prison in July. Both Guzmán's fate, and the drug empire controlled by his Sinaloa cartel, hangs in the balance, according to Shannon O’Neil, a senior fellow for Latin America Studies and the director of the Civil Society, Markets, and Democracy Program at the Council on Foreign Relations. "Whenever we’ve seen a leader taken out, the waves of disruptions that follow are often quite violent as others try to poach the territory or (because of) fighting within the Sinaloa cartel," O'Neil said. "There is a likelihood that that could happen." After Guzmán's initial capture in 2014, little changed in Ciudad Juárez despite concerns the city might return to its violent ways if the hometown Juárez cartel perceived weakness in a rival or if criminal alliances otherwise shifted. Yet the city remained relatively calm, although some parts of the rural Juarez Valley, about 30 miles to the east, saw increased bloodshed. The dynamic could be markedly different this time because of Guzmán's pending extradition to the U.S. Two years ago, former Mexican Attorney General Jesús Murillo Karam said Guzmán would be extradited in “300 or 400 years.” This time around, Mexican officials are being more cooperative. O’Neil said that because Mexico is now willing to send Guzmán to the United States - even after what will surely be a lengthy process as his attorneys are allowed to file several appeals – the impact on the border could be different, and Guzmán could continue to play a pivotal role. Despite all the uncertainty around Guzmán's future, some see Mexico's new willingness to work with American officials on his extradition as a signal of a promising new beginning for the two countries as they move forward on other issues like security and immigration. O‘Neil said a lot of credit goes to Mexico’s Attorney General, Arely Gómez González, who indicated when she took office last February that she was willing to have a discussion with American officials on issues her predecessor, Murillo Karam, deemed specific to Mexico.